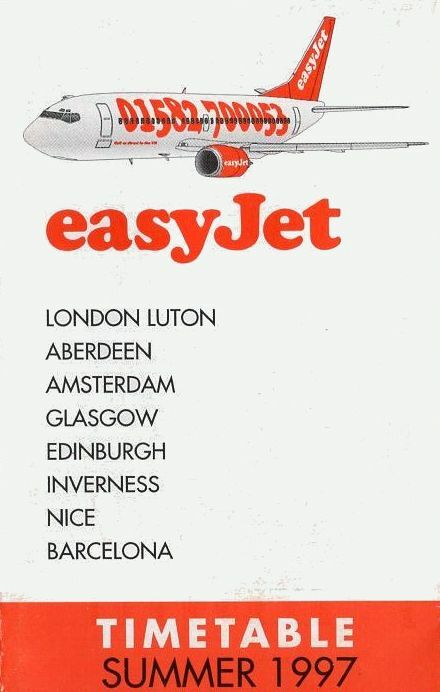 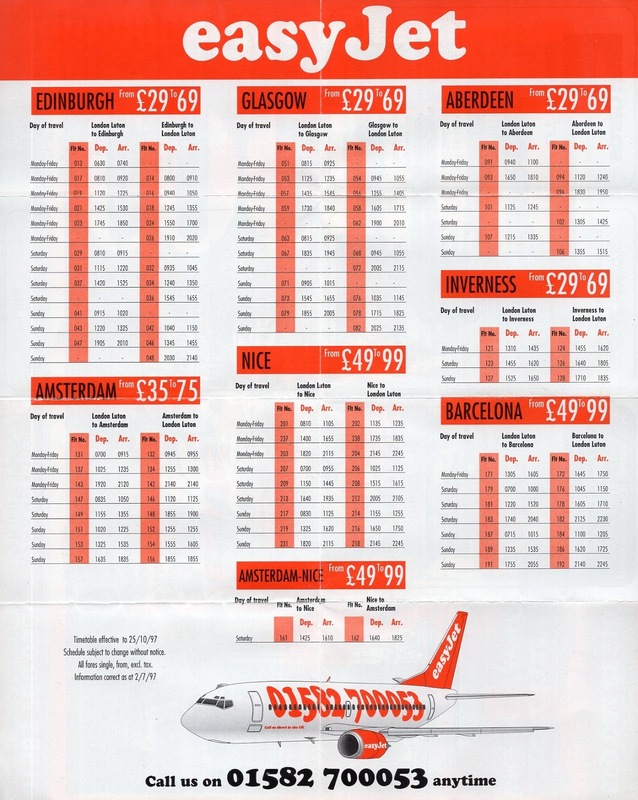 Here we have a very young Easyjet, which flew from its single base at London-Luton to a handful of European airports. 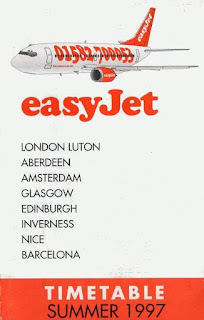 Their livery at the time, a huge telephone number on the aircraft side and no web address, was certainly striking. 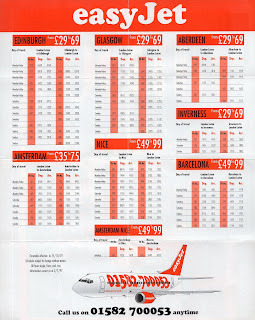 I clearly remember the first time I saw this livery at Barcelona.